- It's an international showcase for your products. - It's a constant presence of your factory in the world. - It's a world's Fair 24 hours/day 365 days/year. - It's the market tool that uses your future distributor. - It's made according to international market needs. - It's defined in the ​​most important market languages. - It's your open door to export worldwide. 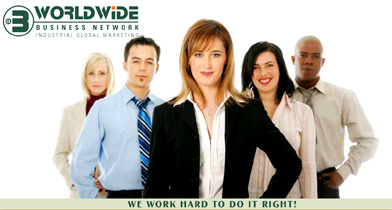 - It's the right tool to increase your sales abroad. 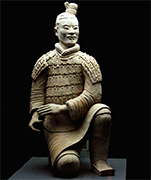 www.chinamanufacturingguide.com Chinese, Taiwan and all Asia market. www.ital-usa.com United States of America, Canada, Mexico, Brazil and Latin America. www.italianmanufacturingguide.com European market including Est of Europe countries. www.italianbusinessguide.com Italy, Germany, England, United States of America, Russia. www.dubaimanufacturing.com United Arab Emirates, Saudi Arabia, Oman, Middle East. www.usamanufacturingguide.com American market, all the United States and South America. www.miamimanufacturingguide.com Miami Florida and all South America, Brasil, Peru. www.atlantamanufacturingguide.com Atlanta, United States and all Latin America. www.newyorkbusinessguide.net New York, United States and all Latin America. A. We support manufacturers to increase their export turnover. B. Worldwide Industrial marketing using our Network in Internet. C. Direct Marketing addressed to distributors and wholesalers. D. Private Label launch and development into the main worl market. E. Full services package to increase sales and to export worldwide. F. Creation of distributors network definition and development. G. Customized Marketing according to products and markets. H. Territory development and industrial information campaign. I. Support in international markets to support each of our client. J. China Promotion art, crafts and industrial made in China culture. OUR GOAL: "INTERNATIONALIZATION OF CHINA SYSTEM: TERRITORY, INDUSTRIAL PRODUCTION, INCOMING TOURISM AND CHINESE CULTURE INTO EUROPE, THE UNITED STATES, CENTRAL AMERICA, SOUTH AMERICA, ASIA, AFRICA, AUSTRALIA, MIDDLE EAST AND THE WORLD"
AT CHINA BUSINESS GUIDE WE WORK HARD TO DO IT RIGHT !! Eng. 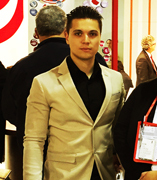 CHRISTIAN CABALLERO, Italian American, graduated as professional Mechanical and Electrical Engineer (UNI 88), has a high end knowledge of Product Industrialization, Mechanical Engineering projects, Industrial Business Management and Industrial Worldwide Marketing, is the Founder CEO of WBN and Da-BI.N Group. With 30 years of international experience in Mechanical Design, industrial Manufacturing Process, Product Industrialization, Oil & Natural Gas Exploitation & installation, and Global Industrial B2B Marketing he has been directly involved in projects in Europe, Middle East, USA, Africa, Asia and Latinamerica, dealing with the most important international industries for mechanical projects, B2B products industrialization, oil and natural gas industry gaining international experience, using this background to create the B2B Italian, USA and China Business Guide Network. 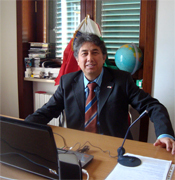 Christian Caballero manages our team in Italy, USA, China, Middle East and South America. 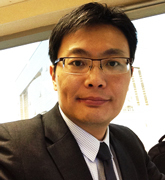 DR. JOHN LIANG Born in 1974 in China, PRC citizen; Fluent in Chinese, English and German; Bachelor degree in international trade; Worked in sales consult and business development roles for MNCs FE Investment Co., Ltd, Sandler AG, NHST Group. Working as a consultant for many industry aspects, John Liang has full expenses on project management, market research, sales coordination, international B2B platform from China, Europe and US channel sales management. John helped German and Danish industrial enterprises go into China market successfully with millions of Euro turnover. The successful reference projects or companies are Erfurt, Sandler, Mepra, Bartscher, Steelite, Follman etc. ANDREA PRETTO Brilliant Italian export operations manager, Andrea was born in Schio Vicenza (Italy) fluent in Italian, English and Spanish Andrea Pretto was trained to define, follow and increase international business to business relationship between Italian manufacturing industries and international buyers, acquiring direct experience in large project management between China and Italy. He is currently one of the most important promises of the "New Generation Italian Export Managers". in WBN he's actually managing international accounts for Tedesco Group srl, Barbero spa, Elah Dufour Novi Spa, Fruttagel spa, Gruppo Gimoka Caffè srl and others Italian food manufacturing companies. Furthermore has been involved in important design and production of food and beverage machinery manufacturing projects, increasing his own technical knowledge. ENG. ENRIQUE CABRERA VILLA Peruvian 52 years old, graduated as Civil Engineer (UNI - Engineering National University - CIP 47088) Master in Business Administration (ESAN Peru), has more than 25 years experience in Project management, development and consolidation of construction, real estate and industrial business. He is currently General Manager of Macrodin company. Actually is a professor of "ESAN Graduate School of Business" one of the top ten business school of Latin America. He was professional trained in Spain and Israel for security systems of buildings. Experience and professional achievements (private and public sectors) in management engineering, construction, real estate and business management. Furthermore an important knowledge and experience in business management, marketing and finance fields. Dr. STEFANO VALENTE, Italian aged 38, graduated in Economics, is a professional chartered accountant and accounting auditor. 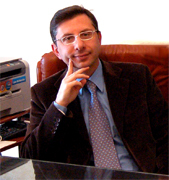 Main business Partner in “Valente & Prete Associates”, from Lecce (Puglia, Italy), he has over 14 years experience, in accounting, auditing, international business and tax consulting. Specialized in foreigner investment in Italy, European financial system, International partnership consultant, high income individuals, small to big sized businesses with complex needs, and general tax and accounting services to individuals, partnerships, corporations and non-profit organisations. Trustee in some bankruptcy proceedings, court-appointed accountant and assistant in expropriation proceedings. Dr. JOSE RUBEN GONZALEZ VALLES, was born in Madrid Spain 30 years ago, graduated in Industrial Marketing and professional Advertising in the CENP (CENTRO ESPAÑOL DE NUEVAS PROFESIONES) of Madrid Spain. Jose Ruben Gonzalez is the Director Manager of WBN and Da-BI.N Group for Spain he has gained experience in industrial marketing, international advertising, international manufacturing business and export procedures consulting now available to all the Spain manufacturers interested to share their products to the world wholesale distribution market.